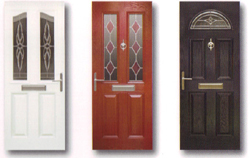 We offer a wide range of doors which are low maintenance and made from UPVC or composite door. 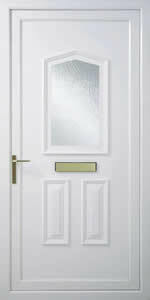 If it’s a stylish look, exclusive design or just security and strength you are after then click on the pictures and browse through. 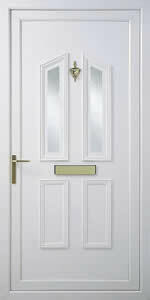 UPVC doors come in 7 different ranges with lots of different styles in each range in white, rosewood or golden oak. 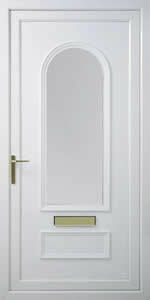 There is also a 2 X 6 integra door which has a blind inside the glass unit if you want the opportunity to have clear glass, but want some privacy or security. 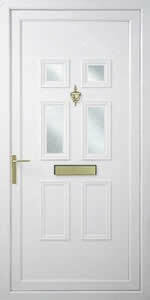 A composite door gives you the best in strength, easy maintenance, security and weather resistance. 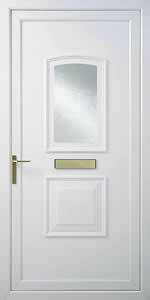 These are thicker than a normal UPVC door which makes them a super strong structure and even more secure. Custom decorative glass is available for a truly unique look.